In tracing the path of technology from agrarian to industrial to the current information revolution, Kundra noted the transformative effect of both cell phones and social networking platforms like Facebook, YouTube and Twitter. “We’re seeing the impact that Twitter has on the geopolitical climate of the world,” he said. “Information is far more liquid than it has been in the history of civilization.” The disruptive effects of the online revolution in user-generated content are steadily filtering into government. The “Darwinian pressures” exerted upon real estate, real estate, consumer products and the automotive industry haven’t hit government yet, Kundra observed. 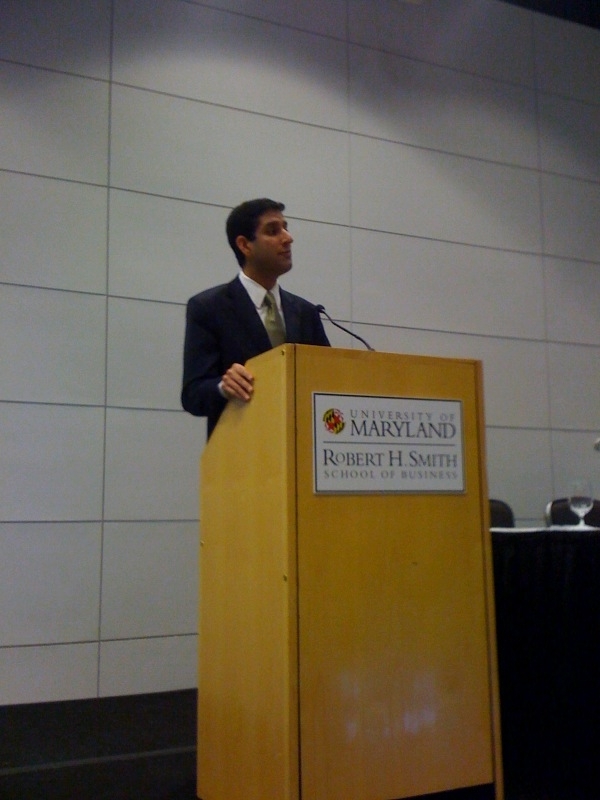 “It’s easy to go online and compare consumer products, but it’s very difficult, if not impossible, to get information to make intelligent decisions.” In launching the contest Apps for Democracy, in fact, Kundra found a way to introduce an element of competition and innovation into an government IT ecosystem that was underserved in both areas. Questioned on whether service-oriented architecture still is an emphasis in a federal cloud computing paradigm, Kundra said SOA “absolutely” still matters. “Look at the Social Security Administration and what it’s done with SOA and local government,” he said. “They can build lightweight applications to interact with databases elsewhere.” That embrace of modern development practices extends beyond just SOA or upgrading programmers’ skills from COBOL. “How do we move towards an agile procurement or agile development methodology?” asked Kundra. The old mode involved the management of $70 billion of federal IT investments through a “closed, opaque, checklist-driven process,” Kundra said. Now USAspending.gov, the federal IT dashboard, tracks spending. The website has received more than 56 million hits since launch, according to Kundra. In the old way of thinking, there was a “presumption that the government has a monopoly on the best ideas,” said Kundra. Now, Data.gov provides machine-readable data for developers to mash up. Historically, there’s been a “complex, time-consuming, paper-based acquisition process,” said Kundra. Now, there’s Apps.gov.